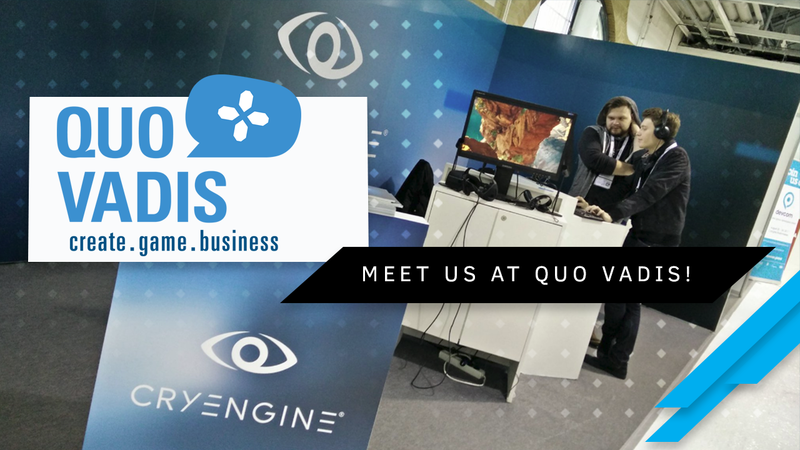 CRYENGINE is proud to be a Premium Partner of Quo Vadis Gaming conference in Berlin this year. Are you going too? Sign up for our Meet-and-Greet! 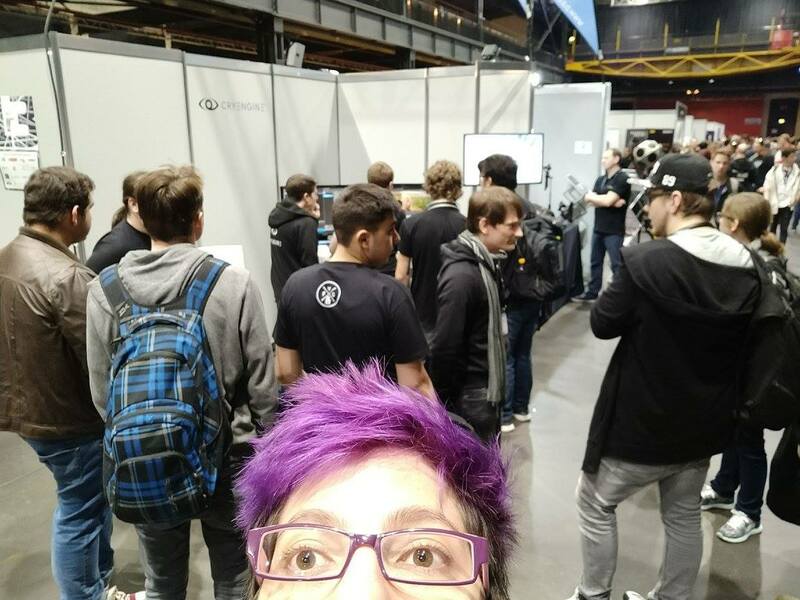 ----------------------------------------------------------------------------------------------------------------------------------------------------------------- Like last year we are going to be hosting a booth and a workshop, bringing you the latest news from CRYENGINE HQ Frankfurt am Main to Quo Vadis Conference in Berlin! 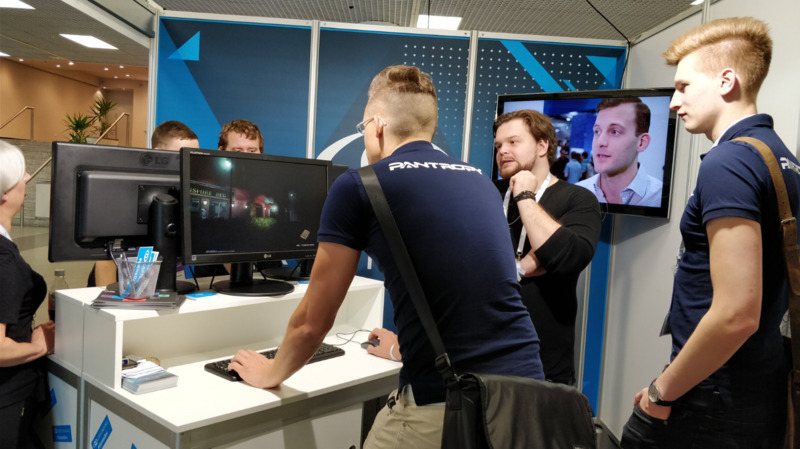 Come and chat with our Community Developer Cry-Nic and give us feedback in person, or try the latest build right at the booth to learn the latest tricks from our experts, Junior Engine Programmer for CRYENGINE, Alexander Klinger, and Senior Cinematic Designer for Hunt, Viktor Ikkes. Interested in working for Crytek? Then here's your chance to get in touch with our Recruitment team and leave your portfolio, application, and a great impression in person. Our staff is happy to answer all your questions and review your work. 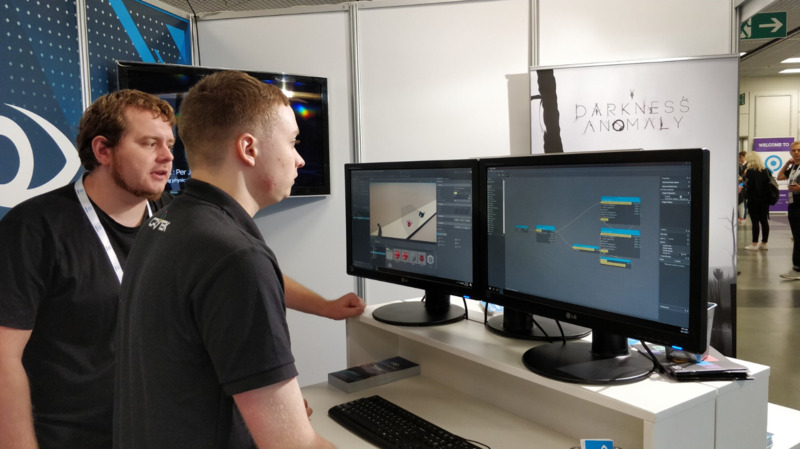 Last but not least, our main attraction, so to say; our Leaning Manager, Brian Dilg, will give you an introduction to CRYENGINE and review the newly rolled out Certification program in a 2,5h workshop directly at the venue. 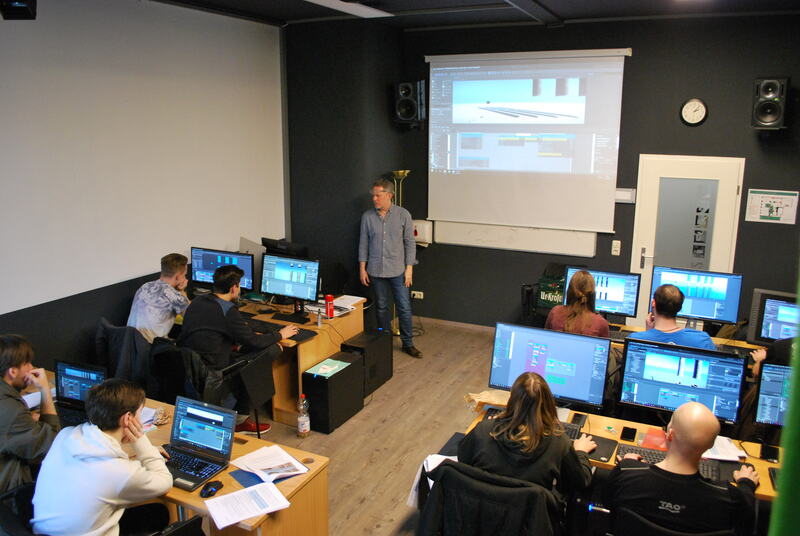 This is a course that is directed mostly at beginners, but intermediates and professionals are welcome to share their input and get answers to their questions about the Certification program. Don't forget to stop by and say hi for a chance to meet the gang behind the scenes in an after-hour meet-and-greet. If you are attending Quo Vadis, you can RSVP here. We'll send you an official invite to your email address!